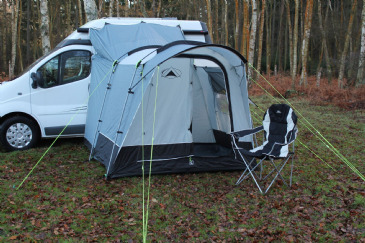 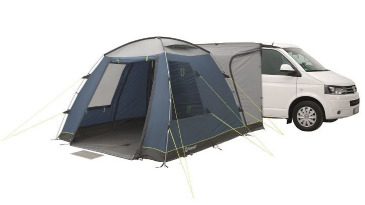 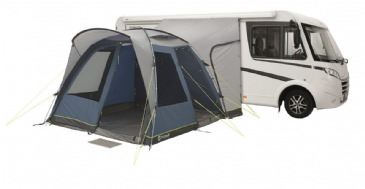 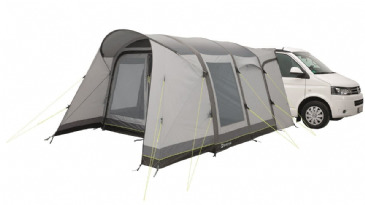 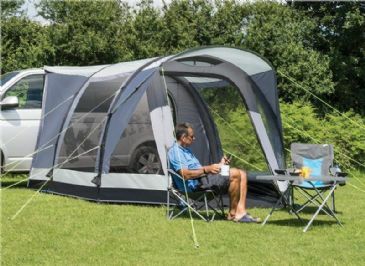 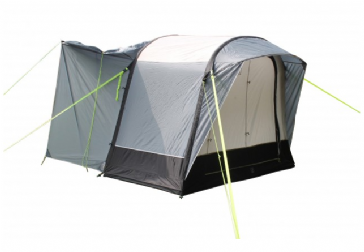 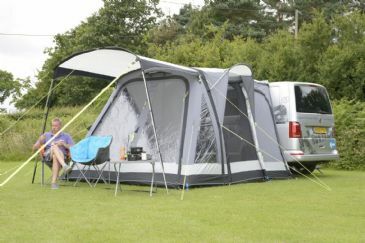 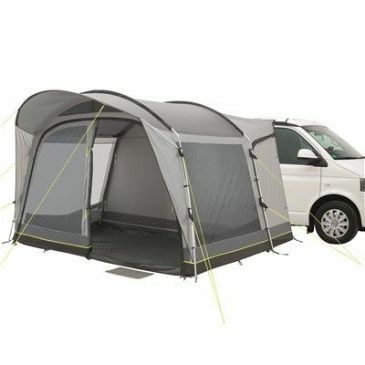 Easily inflated via two air tubes with two-layer protection and Air in/Air out valves, the Hurricane drive-away awning offers versatile extra space and shelter. 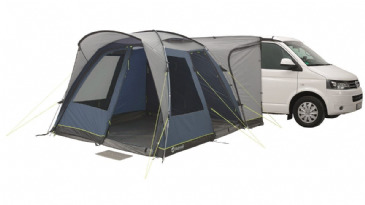 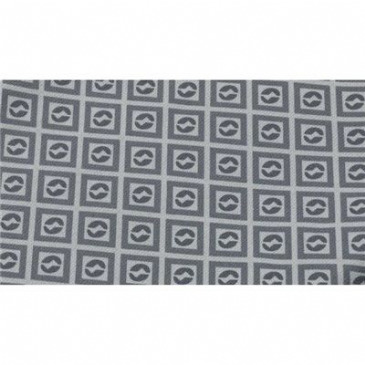 Quick and secure to attach snugly, the deep front canopy over twin air vents extends protection of the front door. 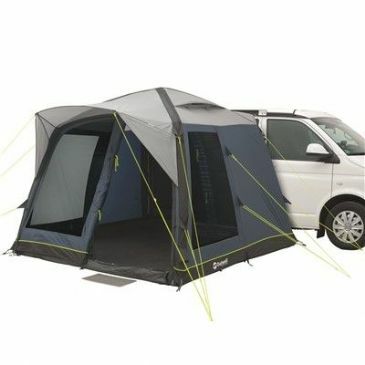 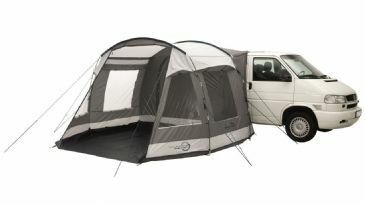 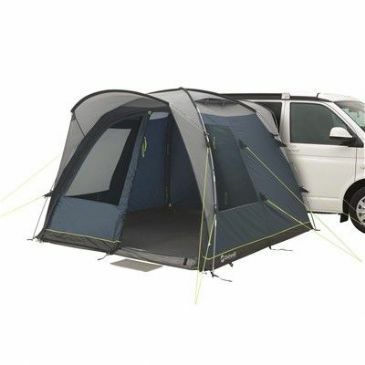 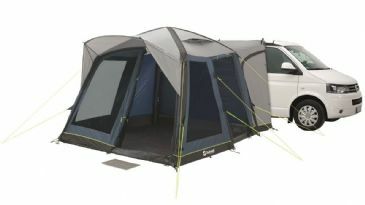 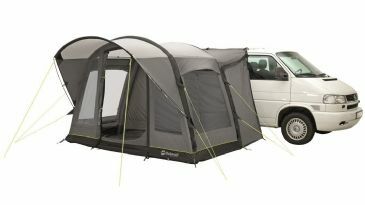 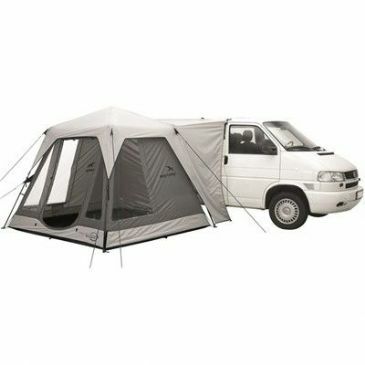 Features include a lie-flat groundsheet at the main door, a mesh door for bug-free ventilation, slim front windows all have curtains.